July 2, 2015, is almost upon us. To the believers, this is the blessed day when Jose Fernandez will return to grace us with his pitching greatness, and all will be right in the universe. The star pitcher returning from Tommy John surgery has become an all-too-common occurrence — an occasion filled with a strange combination of giddy anticipation and fear. When Mets fans watched Matt Harvey toe the rubber in April after a year and a half of rehab, they didn’t know whether to cheer, hold their breath, or figure out a way to do both. Marlins fans will likely feel the same way tomorrow. As a rookie in 2013, Fernandez lit the league on fire. Then only 20, he went 12-6 with a 2.19 ERA, 2.73 FIP, and 187 strikeouts in 172.2 innings, deservedly winning the Rookie of the Year award in a packed freshman class that included Yasiel Puig. The Marlins shut him down early to preserve his innings count and (hopefully) his arm. And why wouldn’t they? If Dwight Gooden’s absurd 1985 season is the standard-bearer for best performance ever by a 20-year-old pitcher, Fernandez was on the short list for second-best. 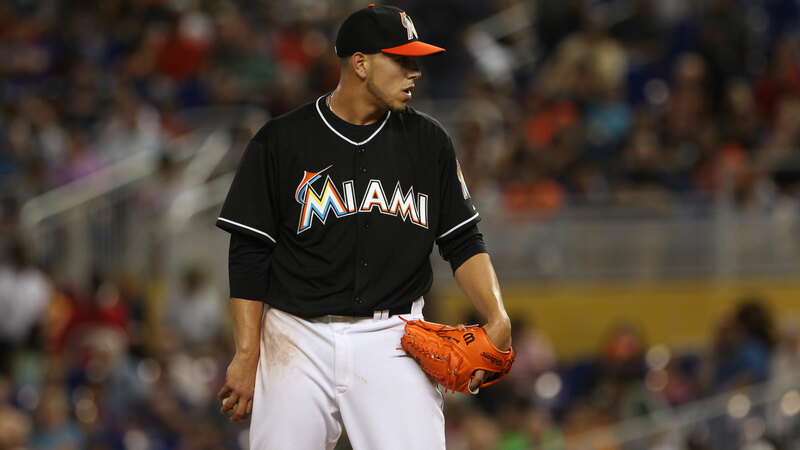 Coming into the 2014 season, Fernandez was a big, strong, young pitcher who was carefully managed by his team — but even that couldn’t keep the elbow monster at bay. After his incredible debut year, the Cuban right-hander started his second campaign with a bang, flashing a 2.44 ERA and 70 strikeouts in 51.2 innings over his first eight starts. Then, on May 12, the news hit: Fernandez had torn his ulnar collateral ligament and would need Tommy John surgery. Four days later, he went under Dr. Neal ElAttrache’s knife. Tomorrow — 13 months and 16 days after the surgery — that anxiety will have arrived to Marlins Park when Fernandez takes on the Giants. We’ll be hoping to see the return of one of the best pitchers on the planet, one of the best stories in the game, and a guy who’s just a human ball of enthusiasm. But what Fernandez will definitely provide is the latest data point in an ever-growing list of pitchers to destroy their elbows, get them repaired, and come back to do the very thing that destroyed them in the first place. 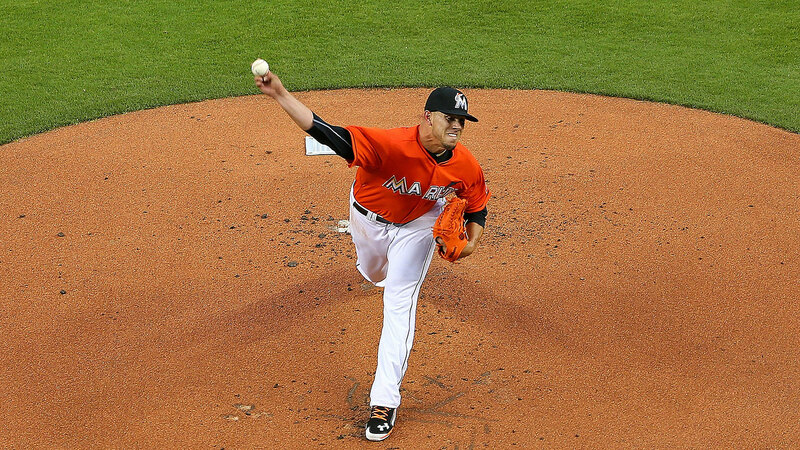 If disaster — knock on wood — should strike a second time, Fernandez would hardly be alone. Last season marked a gigantic spike for the number of Tommy John surgeries seen in pro baseball: There were as many in 2014 as in all of the 1990s. According to ElAttrache, much of that spike came from pitchers going in for Tommy John a second time. We can break down the players to return from a first surgery into two general groups. There are the guys, like Fernandez, who get surgery early in a season and just by luck of timing get to return at some point close to the 12-month baseline that many surgeons consider the bare minimum of recovery time. And then there are the Matt Harveys, who get surgery in October and can’t come back until something closer to 17 months, just because there aren’t any games to play once they’re fully recovered. Since 2005, 24 starters have returned from Tommy John to pitch at least five games in a season.1 Of those 24, 15 fall into the Fernandez group and nine into the Harvey group. Yet, while it might seem like there’s an advantage to taking more time off, the percentage gap between the sides is not really that large. Also, 24 pitchers don’t make for enough data to form a definitive judgment. So we’re left with some tentative suggestions rather than any real predictive info. For a more similar recovery comparison to Fernandez, we can look at Stephen Strasburg. Both are power right-handers, both were 21 years old when they underwent surgery, and both posted similar strikeout-to-walk rates in their pre-injury seasons. Strasburg, who was injured in August 2010, made four more starts than Fernandez during his injury season, and while the Nats hurler was slightly better by FIP-, he was slightly worse by ERA-. In his return season, Strasburg made only five big league starts after coming back in September 2011, but he looked great, fanning 24 batters and walking just two, albeit under tightly supervised conditions in which he threw just 24 innings over those five starts. Miami will likely be a little less cautious on the whole with Fernandez in 2015 since he’ll have half a season, rather than just a few weeks, to get back up to speed. Still, this is already a lost season for the Marlins — FanGraphs gives them a whopping 0.5 percent chance of making a playoff run — and Fernandez remains a possible franchise centerpiece at only 22, so they won’t be running him into the ground either. If you want to be optimistic about Fernandez’s next few months, you can look at that Strasburg season and find some hope.8 But the truth is, we really don’t know what to expect. As biomechanics expert Dr. Glenn Fleisig and many others have argued, single-sport kids who specialize in baseball, and then get even more specialized by pitching year-round, place a lot of strain on their young arms. Once those boys become men, get stronger, and learn to throw harder, the strain on their arms only increases. And in a generation when the top pitchers — like Harvey and Fernandez — routinely dial their fastballs into the mid-90s or even high 90s, the strain edges closer to the already-repaired breaking point. As we get set to celebrate #JoseDay, grab your favorite lucky charm or pray to the Flying Spaghetti Monster for help. Watching a star starter return from Tommy John is a weird experience — something that should be hopeful, yet is tinged with worry — but it’s quickly becoming the new reality. Fernandez isn’t even the only TJ returnee scheduled for Thursday; Tampa Bay’s Matt Moore is set to make his first start in 14 months against Cleveland tomorrow. So for now, when it comes to the best flame-throwing young arms on the planet staying healthy over the long haul, the best we can do is hope. Thanks to Jon Roegele for his research help. We’re defining “starters” here as anyone who started at least five games before going under the knife. The Fernandez group consisted of better pitchers overall, based on park-adjusted ERA and FIP numbers before the injury. Eight percent worse than league average after coming back vs. 6 percent worse in the season of the injury. Nine percent worse than league average pre-injury vs. 2 percent worse than league average upon return. Seven percent better than league average pre-injury vs. 5 percent worse than league average in the season of return. Six percent better before vs. 2 percent worse after. From 9.7 percent to 11.7 percent for the Harvey group, and from 10.8 percent to 11.1 for the Fernandez group. Whatever you do, DO NOT look at Strasburg this season.